ResearchPro: Research Reports on India Inc's best. Analysis and Buy/Sell price limits. ResearchPro acts as the one-stop repository of the fundamentals and valuations of top 100 stocks, across market caps. The product provides all the relevant financial information that is required to understand a company's business and financial health. The product gives general information about the company background, financial information of its key profit & loss and balance sheet indicators. Apart from this, the strengths and weaknesses of the company are also outlined in detail. What is the goal of the ResearchPro? The goal of ResearchPro is to ensure that the subscribers always have access to the latest views on the top stocks across sectors at the finger tips. So besides stating the key rationale and concerns pertaining to the top 100 listed companies in India, ResearchPro provides the Buy and Sell limits for the stocks depending upon the valuations at any given point of time. The product provides all the relevant data and information necessary to cherry-pick fundamentally sound companies for investment. In the first step, the search for good companies can be optimized by using the product's in built search engines. IIn the second step, the product's database can be utilized to do detailed research on companies to ascertain their potential. The research database includes information about a company's background, its key financial indicators, capital expansion plans as well as equity share data. The strengths and weaknesses of the company are outlined in detail for qualitative evaluation. Lastly, the financial estimates and Buy and Sell price limits on the stock are provided for the next three years. In addition, a weekly mailer from Equitymaster is also provided. What ResearchPro does not offer? ResearchPro does not offer customized opinions for any particular subscriber or class of subscribers. We are not qualified financial advisors nor Investment Advisors and we strongly recommend our subscribers seek professional advice before taking any decisions for their investments. Who is the editor of ResearchPro? Madhu Gupta, the Managing Editor of ResearchPro. Of her nearly decade long experience in the field of finance, she has spent a large part of her career with the Centre for Monitoring Indian Economy (CMIE), an independent economic think tank. Here she was a part of the company analysis service where she prepared detailed credit profiles of companies She was also associated with the team involved in updating CMIE's Prowess database. This helped her in understanding the various techniques of "window dressing" employed by companies, and how to decipher the true meaning of financial statements. All this knowledge and experience has been of immense help in her current role. As the Managing Editor of ResearchPro she decides which companies merit a place in the ResearchPro database on the strength of the financial moat enjoyed by them. 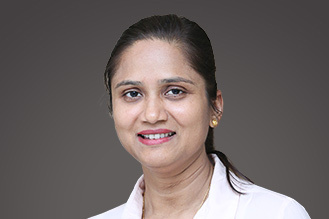 As a firm believer of the principles of value investing, she continuously looks for robust businesses with durable competitive advantages across sectors. What is the frequency of the reports and what is the minimum number of reports expected annually? As pointed out, ResearchPro is not a recommendation service but a subscriber's 24*7 ready reckoner to find the best stocks to buy, hold or sell at any point of time. There are no recommendation reports under this product. However, a weekly mailer will be sent out every Thursday. These ideas can also be accessed on the company's website. I want to know more about ResearchPro. How should I proceed?